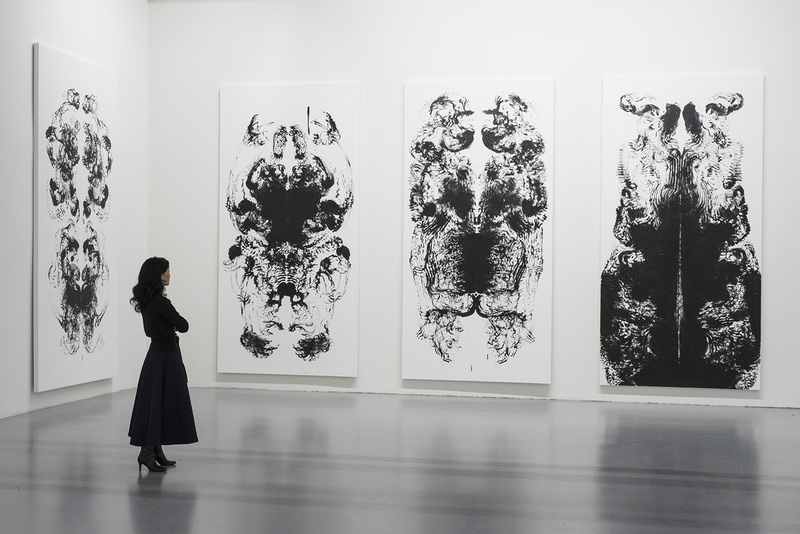 Centro Pecci is delighted to present MARK WALLINGER MARK, the first solo exhibition in Italy of the British artist Mark Wallinger. Wallinger, born 1959 in Chigwell/UK, is one of the most prominent contemporary artists living and working in Great Britain today. 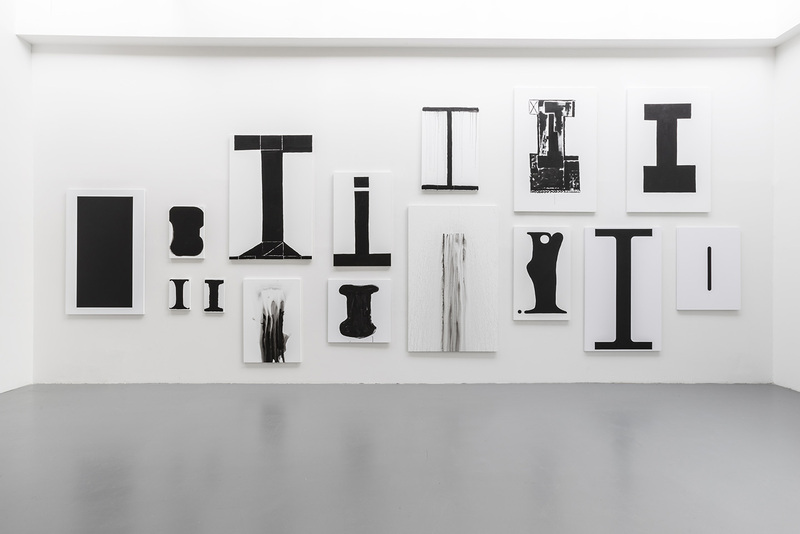 Known for his investigations of identity and a career-long engagement with ideas of power, authority, artifice and illusion, he works in a wide range of media, covering painting, sculpture, photography, film, installation, performance and public art. Wallinger was nominated for the Turner Prize in 1995 and won in 2007 for his installation State Britain, an exact replica of peace campaigner Brian Haw’s protest camp in London’s Parliament Square. On view at Centro Pecci will be central works from different phases of Wallinger’s career, giving an insight into the artist’s manifold practice. Wallinger approaches issues of racial and cultural stereotyping head-on in the photographic work Passport Control (1988), a series of passport photographs of himself overworked with felt-tip pen, Tip-Ex and then enlarged. Given developments in geopolitics in recent times and increased paranoia at international borders, this was highly prescient. 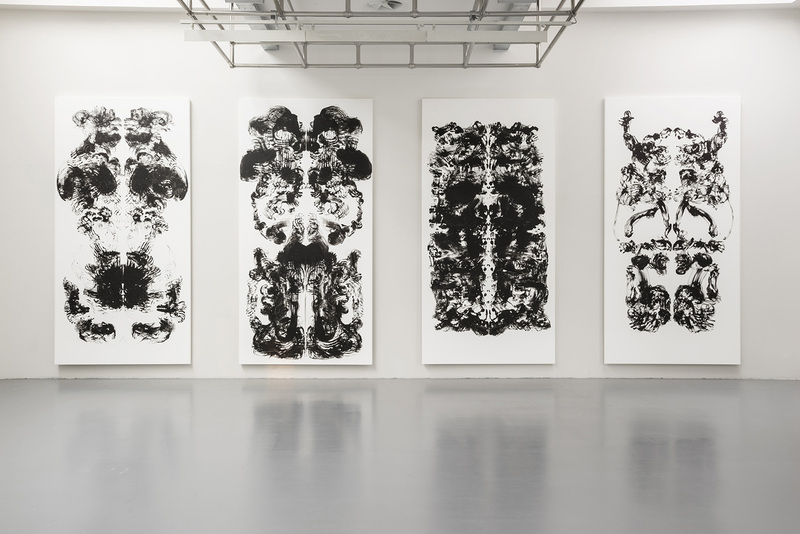 The id Paintings (2015-2016), have grown out of Wallinger’s extensive series of Self Portraits, and they reference the artist’s own body. His height – and therefore his arm span – is the basis of the canvas size. They are exactly this measurement in width and double in height. 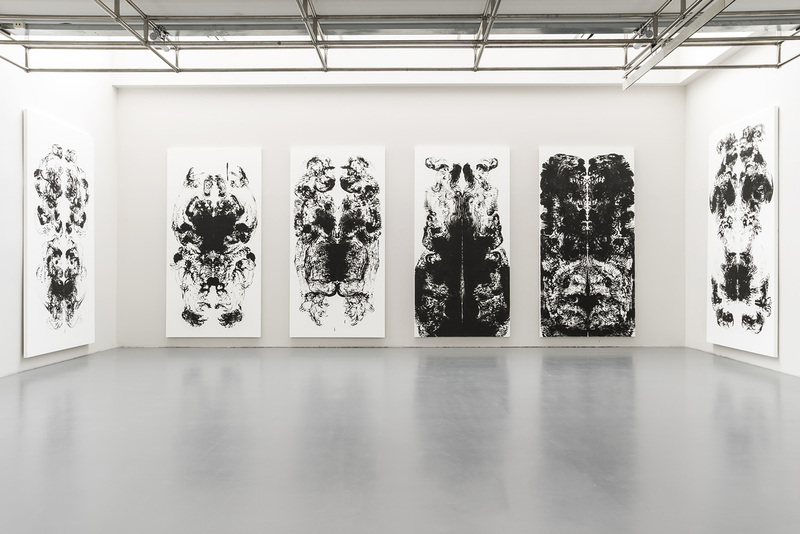 Wallinger uses symmetrical bodily gestures on the two halves of the canvas to mirror one another, recalling the bilateral symmetry of Leonardo da Vinci’s ‘Vitruvian Man’ and more explicitly the Rorschach test. Created by sweeping paint-laden hands across the canvas in active freeform gestures, the id Paintings bear the evidence of their making and of the artist’s encounter with the surface. 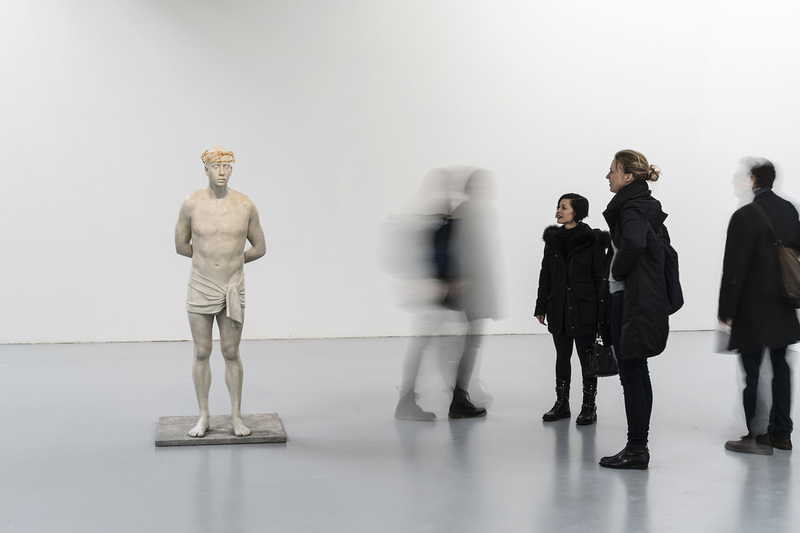 In recognising figures and shapes in the material, the viewer reveals their own desires and predilections while trying to interpret those of the artist. 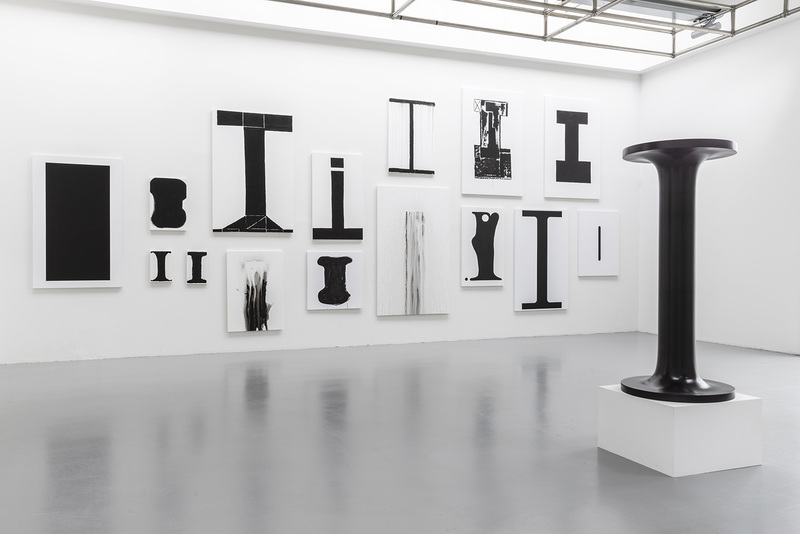 Self Portraits (2007-2015), Wallinger’s extensive series that takes the capital ‘I’, the word we all have for ourselves, and tries to extract some expressive force from it and Self (Symbol) 2017, a capitalized ‘I’ in Symbol font, is aggrandized as a three-dimensional statue the height of the artist. 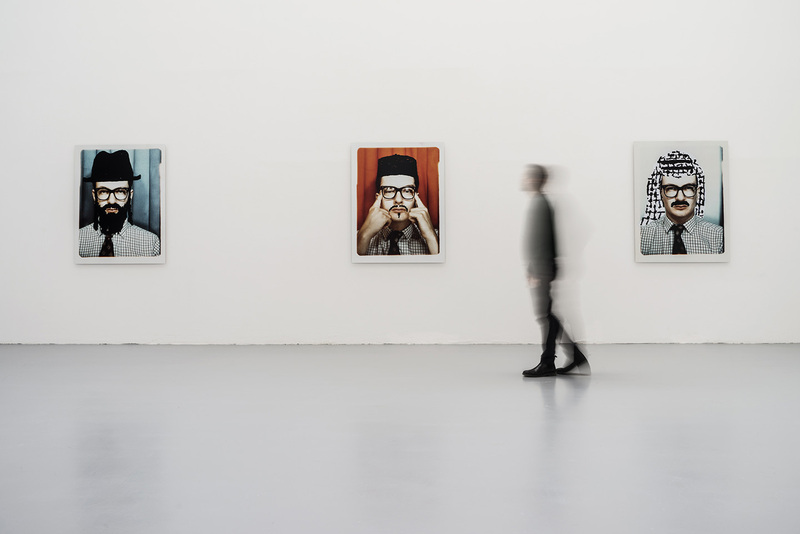 The artist’s presence is felt in closer proximity in two other works. For Shadow Walker (2011) the artist filmed his shadow walking ahead of him, the figure the sun draws on the London street assuming an autonomous existence as ‘real’ as the artist’s actual body. In MARK (2010) the artist chalked the title all over the city of London within the parameters of single standard sized brick. This deadpan tagging is rendered as a photographic slideshow, each MARK at the vanishing point of 2,265 images. 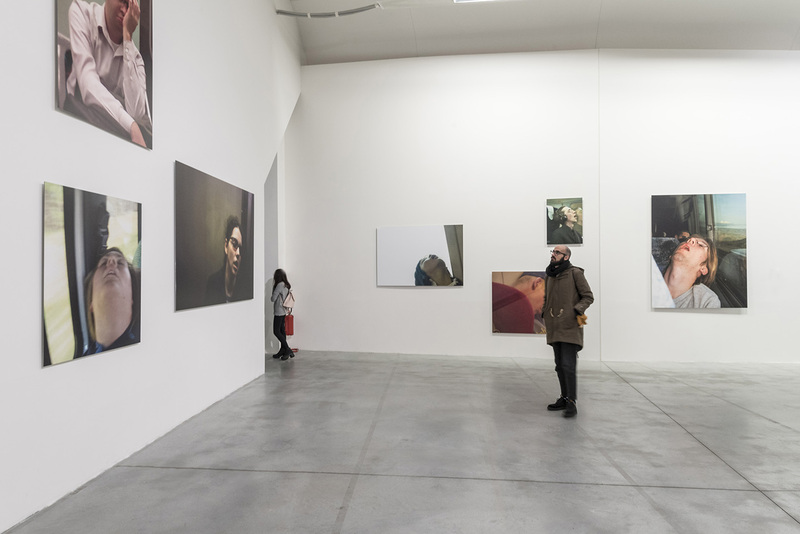 The Unconscious (2010) are huge blow-ups of jpegs that Wallinger found on the Internet, each portraying someone asleep on public transport. 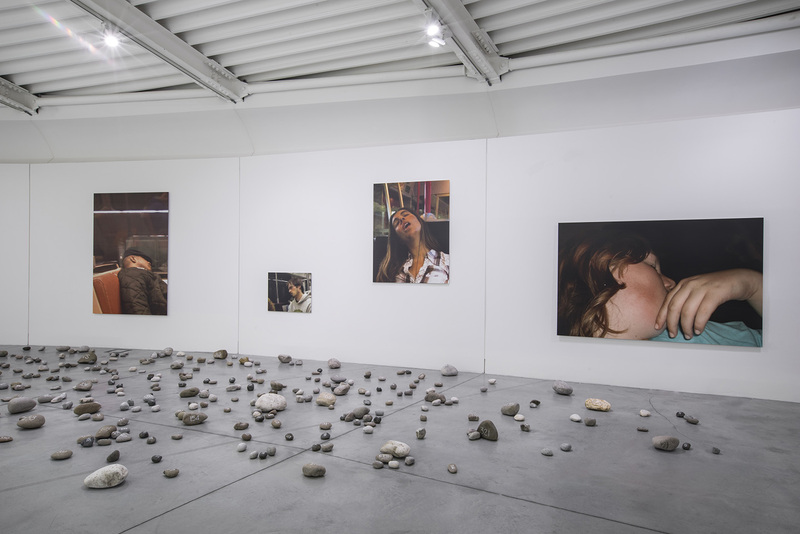 The images lack the solidity of high-resolution photographs, as if their subjects are partially leaking away from the callous world of public transport, drifts of interference encroaching protectively from the dimension of sleep. 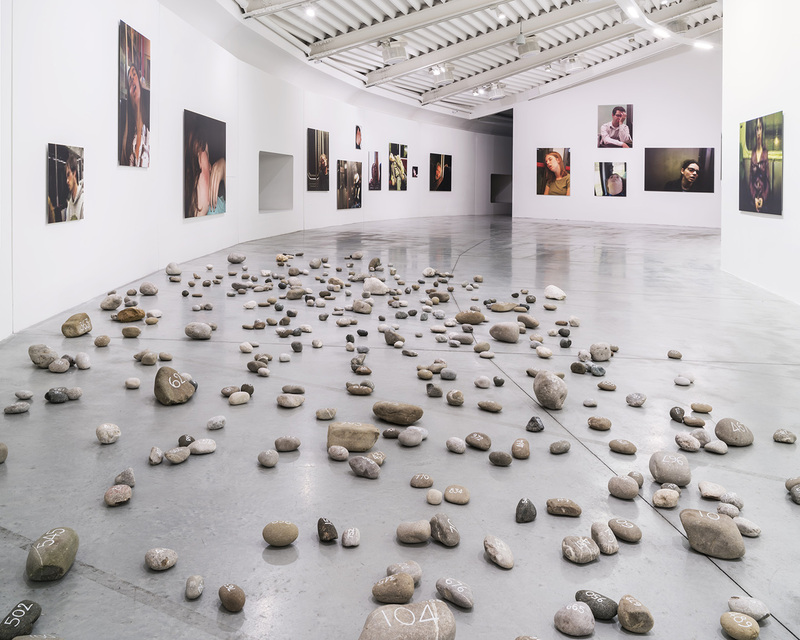 Pietre Prato (2018) is a new site specific work created for the exhibition. These numbered stones, with their inherent contrast of human labour and the monumental timescale of geology, catalyse thoughts of mortality, of catalogues of the vanished and anonymous. The exhibition concludes with two epic video documentations. We follow the work of three scaffolders on a beach in Construction Site (2011), as they erect a tower aligned perfectly to the horizon, only to disassemble it and start all over again, while all through the night the artist, dressed in a bear suit, wanders the glassy immensity of Berlin’s Neue Nationalgalerie in Sleeper (2004).